Tech has seen the rise and fall of many an emcee, but the KC King is still on the incline. I used to sleep in a bunk like everyone. Now I’m in my own bedroom, with a bed and my shower. The thing that I noticed that’s changing because of “Hood Go Crazy,” is that we’re playing all these summer festivals. We were able to do Powerhouse in California with Kanye and Ludcaris and B.o.B and Nipsey Hussle. Then the next day, we flew to Columbus, Ohio to do Rock on the Range with Linkin Park. I’m seeing my crowds grow, other genres that I’ve always touched are starting to acknowledge me now. 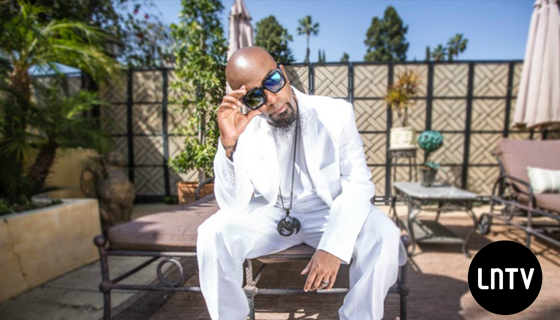 The crowds are getting bigger and more aware of the Tech N9ne phenomenon. Tech also shares some sound advice he learned from a surprising source: Lady GaGa. 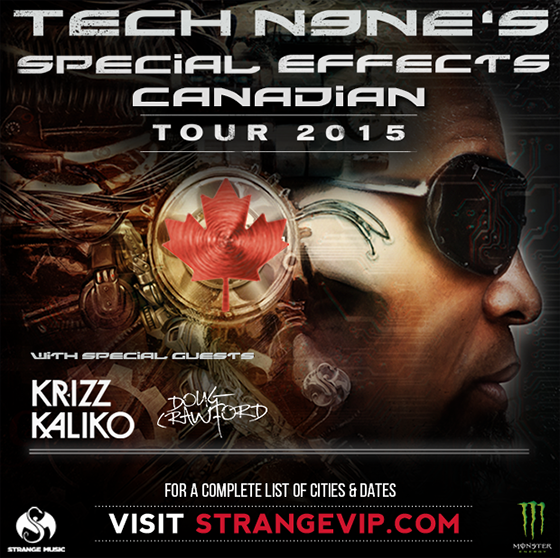 TO TECH N9NE’S SPECIAL EFFECTS CANADIAN TOUR 2015!